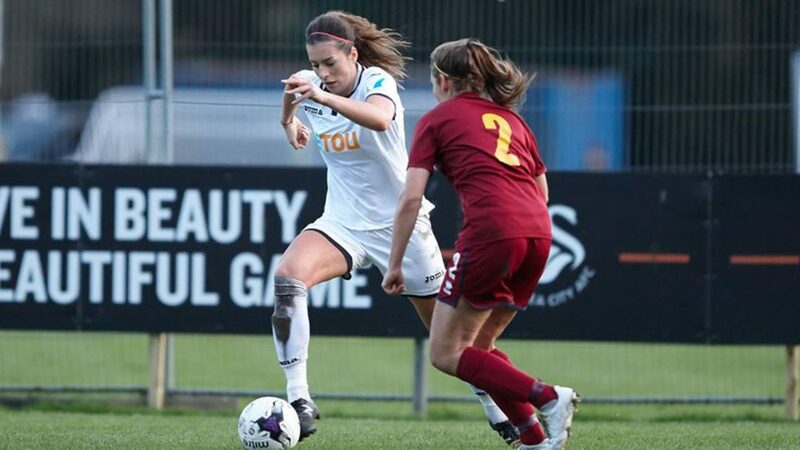 Swansea City Ladies will kick off their Welsh Women’s Premier League campaign at their Llandarcy Academy of Sport home on Sunday, 2 September against Abergavenny Women, who finished just 4 points behind the Swans last season in 3rd place. The current FAW Women’s Cup holders will be looking to reclaim the League title once again, having last won the title in 2016/17, and face their most likely challengers for silverware, Cardiff Metropolitan Ladies, on 21 October at Cyncoed Campus, before the return fixture at Llandarcy on 10 March. Newly promoted Briton Ferry Llansawel Ladies, will entertain the Swans Ladies on Sunday, 23 September 2018. The league will take a break after the round of games on December 9, before resuming on January 13th to play the remaining rounds of fixtures, with the last round schedule for April 28th, when the Swans Ladies will visit local rivals Port Talbot Town for a final day derby. Last season’s top scorer and WPWL Club Woman of the Year, Jodie Passmore, will no doubt look to at least replicate her impressive return of 18 goals in 18 league appearances. Whilst the Swans joint highest tally of 6 clean sheets, the same as reigning Champions Cardiff Metropolitan Ladies, will again be key to any success for Ian Owen’s team. You can keep up to date with all of the latest Swans Ladies news by following the Swans Ladies Twitter account or Swansea City Ladies Facebook page.